news The Federal Government introduced a new tax bill into Parliament yesterday that is aimed to drive investment, economic growth and job creation by “encouraging innovation, risk taking and an entrepreneurial culture”. Called the Tax Laws Amendment (Tax Incentives for Innovation) Bill 2016, the new legislation includes provisions to give tax concessions to investors with the aim of promoting investment in innovative, high-growth potential startups. “The bill will boost growth by fostering new enterprises and promoting entrepreneurship with a 20% non-refundable carry forward tax offset on investments in qualifying companies, capped at $200,000 per investor per year; and a ten year exemption on capital gains tax, provided investments are held for 12 months or more,” Treasurer Scott Morrison explained in a statement. Additionally, the bill will bring changes to the tax treatment of early stage venture capital limited partnerships (ESVCLPs) to bring more investment into venture capital schemes. The measure will see investors receiving a 10% non-refundable carry forward tax offset on capital invested through an ESVCLP, said Morrison. Further, the maximum fund size for new and existing ESVCLPs will be increased to $200m, alongside other more general reforms to the income tax treatment of venture capital. The measures are part of the government’s $1.1bn National Innovation and Science Agenda (NISA) aimed to boost the economy by incentivising and rewarding innovation and scientific developments. 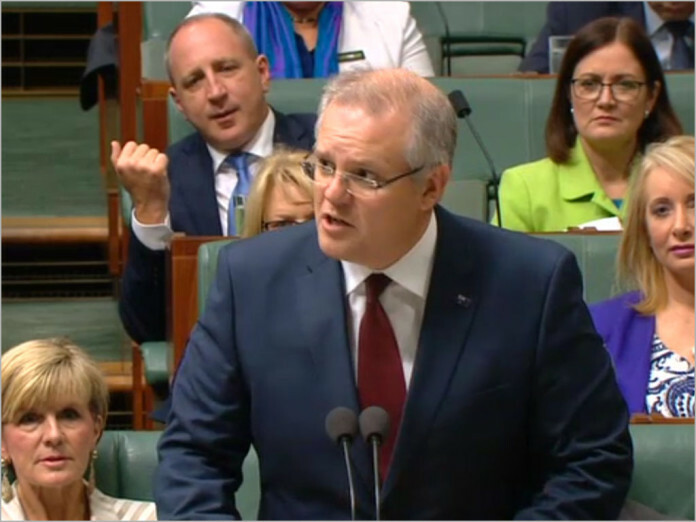 “Backing innovation to drive productivity is part of the Turnbull Government’s economic plan to successfully manage our transition,” Morrison said. So long as that “investment, economic growth and job creation by encouraging innovation, risk taking and an entrepreneurial culture” does not require use of the MTM it may work. Richard, if you are about can you please explain these changes in plain English? And what guarantees are they offering to protect investors? Oh right, none. Look, it’s important that innovators are not vilified and criminalised if plans fall through, although those actively defrauding investors should go to jail and never be allowed to run a company again. But relaxing rules around innovation should come with commensurate protection against excessively risky and uncertain projects and oversight of entrepreneurs and their reporting to investors – people who invest in excessively risky vehicles knowingly are quite a different animal to those thinking their investment was as safe as it would have been in a bank. These overly simplistic adjustments smack of irresponsible, high profile band-aids – they are designed to promote precisely the same kinds of high risk speculative environments we saw in the dot com 90’s bubble and the pre-GFC financial system deregulation. Without adequate safeguards and oversight any market stimulation, particularly that consisting of DEregulation, is a recipe for systemic abuse and eventually collapse, the bill for which will be picked up by the public when the government is forced to step in and bail out investors ‘too big to fail’. So this is a tax sheltering right-off for the rich (potential investors), not actually any incentive for the innovators themselves. Look at the shell ‘innovation’ companies start to appear on name plates around cheap offices Australia wide. If it fosters any actual new companies that’ll be a lucky coincidence, not it’s real purpose. * please see any similar scheme proposed by government in the last 40 years. Films, R&D right-offs, etc, etc. The 10 year CGT exemption is the big carrot with this, and I expect you’ll find almost every development contract will be worded to be 1 year and 1 day by default for that reason. For me, it doesnt really incentivise anyone not already investing. What it might do is encourage foreign investment in the area, thanks to that tax free carrot with the ROI. The problem is the ultra-rich right-wing have created their own warped economic ideology tailored to entrench and grow their wealth and they’ve spent the last 30+ years trying to discredit Keynesian economics which is the theory that got us 1st world economies in the first place!